Arline Fisch (b. 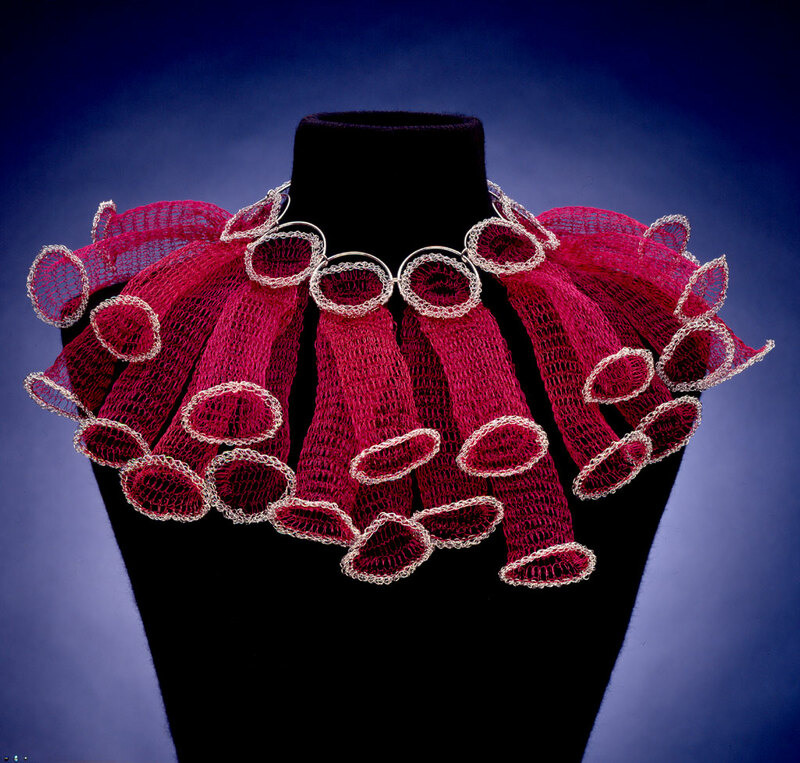 1931 in Brooklyn, NY) incorporates different materials and textile processes by knitting, plaiting, and weaving, in order to create her jewelry. She creates collars, pectorals, and head ornaments in a larger than usual scale. 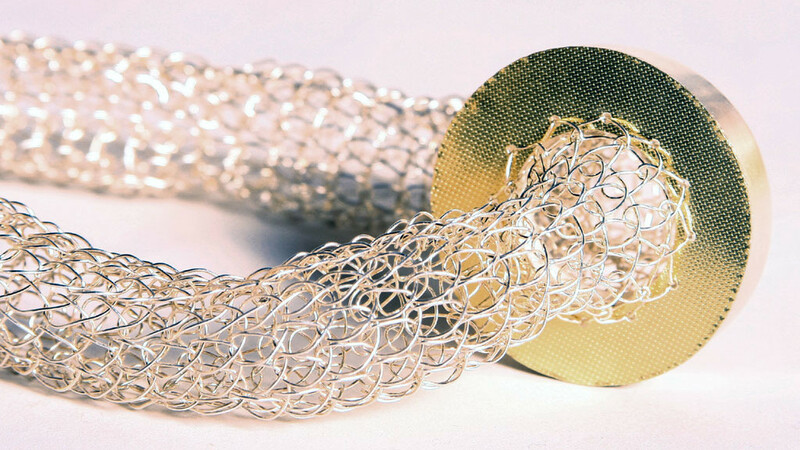 Fisch’s work stands out because many of her wearable crafts are crocheted using metal wire. Drawing from ancient civilizations such as Egyptian, Greek, Etruscan, and pre-Colombian, she weaves the ideas extracted from past cultures with contemporary concerns to create layers of visual meaning. Arline Fisch received her BS from Skidmore College and MA from the University of Illinois. She has taught at Skidmore College, Wheaton College and San Diego State University, where she founded SDSU’s jewelry program in 1961. Her work can be found in the collection of Arkansas Arts Center, Racine Art Museum, Museum of Fine Art, Boston, Museum of Arts and Design, Renwick Gallery at the Smithsonian Institution, among others.